McLaren Autosport BRDC Awards finalist Toby Sowery is to remain at Lanan Racing for the remainder of the 2016 BRDC British Formula 3 Championship, with his eyes fixed on the title. Sowery began the Formula 3 season in brilliant form at Snetterton, claiming a brace of podiums and a pole position despite having had limited time in the new F3 car. He currently lies third in the standings ahead of rounds four, five and six at Brands Hatch on April 16-17. 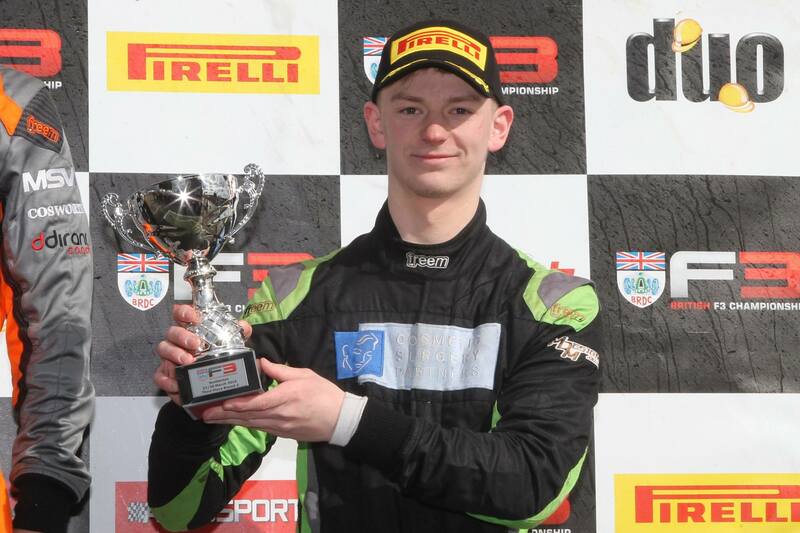 The Cambridgeshire BRDC Rising Star contested the 2014 F3 Cup championship with Lanan Racing, winning 10 races to secure a dominant title win. Sowery, 19, said: "It was the obvious choice to sign up for the whole year and go for the title. Snetterton's pace and results proved how good this Lanan-prepared F3 car is already. I know the team so well, and know I can rely on them, and know I can win races with them. "We had only had a couple of days in the car before the first race weekend and we came away with two podiums, and could have won race three. Obviously that has given me confidence for the rest of the season and with more time in the car we'll only get quicker. Hopefully that will leave us in a very good place come the end of the season. "It would be great to be able to say I was the first BRDC British Formula 3 champion." Lanan Racing team principal, Graham Johnson, added: "To have Toby for the whole season is a big boost. He's on a lot of people's radar and everyone knows about his talent. It's a long season and there are some good drivers out there, but I'm absolutely confident he will be right in the mix for the championship all year."